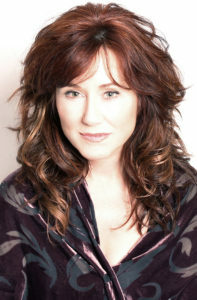 MARY MCDONNELL is a two-time Oscar-nominated actress who is known for her dynamic character portrayals in both period and present-day screen roles. McDonnell currently stars as ‘Captain Sharon Raydor’ on the TNT’s hit drama series, “Major Crimes,” the spin-off of the series, “The Closer” where McDonnell originated the role and earned a Primetime Emmy Nomination. McDonnell received her first Oscar nomination and Golden Globe Nomination, for her portrayal of ‘Stands with a Fist,’ a white woman raised by the Sioux Indians, in Kevin Costner’s Oscar Winning film, “Dances With Wolves.” McDonnell also garnered a Best Actress Academy Award nomination and Golden Globe nomination for her portrayal of a paraplegic soap opera star in John Sayles’ critically acclaimed “Passion Fish.” McDonnell’s extensive list of film credits include the Lawrence Kasdan films “Grand Canyon” and “Mumford,” “Sneakers” opposite Robert Redford, Sidney Poitier and Sir Ben Kingsley, Roland Emmerich’s smash “Independence Day,” with Bill Pullman and Will Smith, acclaimed art house cult-hit “Donnie Darko” and “Margin Call” opposite Kevin Spacey which also earned her the ‘Robert Altman Award’ at the 2012 Independent Spirit Awards. McDonnell began her career in theatre and has starred in a wide variety of both Broadway and Off-Broadway productions. She received an Obie Award for her performance in Emily Mann’s “Still Life” and has starred in off-Broadway productions such as Sam Shepard’s Pulitzer Prize-winning “Buried Child,” John Patrick Shanley’s “Savage in Limbo,” John O’Keefe’s “All Night Long,” Michael Cristofer’s “Black Angel,” Kathleen Tolan’s “A Weekend Near Madison,” Paula Cizmar’s “Death of a Miner” and Dennis McIntyre’s “National Anthem.” Her Broadway credits include Tennessee Williams’ “Summer and Smoke,” the title role in Wendy Wasserstein’s Pulitzer Prize-winning “The Heidi Chronicles” and Emily Mann’s “Execution of Justice.